Workers’ safety is an important aspect in industries, where workers are employed in a manufacturing process that discards toxic substances in any form. One of the plastic manufacturers in the U.S. was facing numerous challenges due to increased absenteeism and decreased operational efficiency, which was affecting the bottom line. 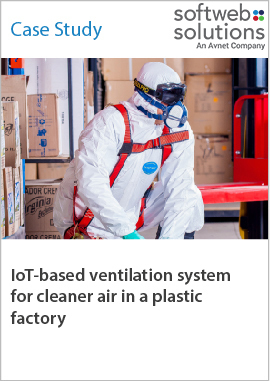 Softweb Solutions designed a smart ventilation system that can constantly monitor the environment inside a manufacturing plant and detect the amount of toxic substances present in the air. Preventive measures can be taken to maintain the purity of air.